MEXICO CITY (Sputnik) - Venezuelan President Nicolas Maduro considers it possible to work out a joint cryptocurrency mechanism for all members of the Organization of the Petroleum Exporting Countries (OPEC) and other major oil producers. "I will make an official proposal to all OPEC members and non-OPEC states to work out a joint cryptocurrency mechanism backed by oil," Maduro told reporters in Caracas on Monday after a meeting with the OPEC secretary general. "I want the Joint OPEC-Non-OPEC Monitoring Committee to operate for at least five more years as we have already had great achievements," Maduro told reporters. 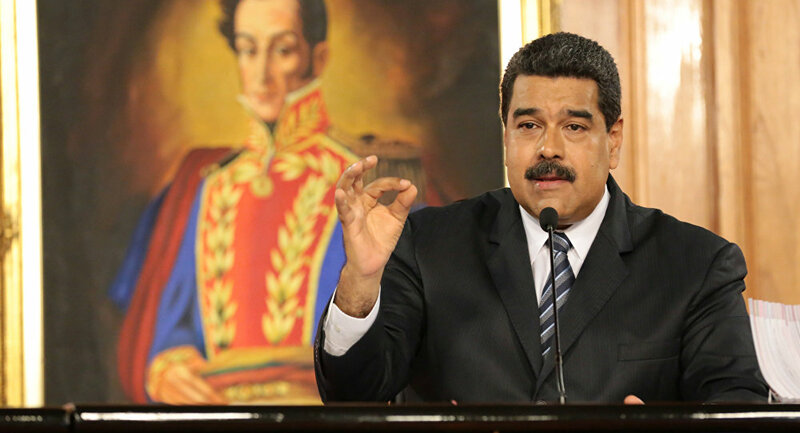 Maduro announced in December 2017 the idea to create a cryptocurrency system, called El Petro and backed by the country's oil reserves, which is expected to help the country to overcome the financial blockade. The Venezuelan Finance Ministry noted that cryptocurrency was necessary for carrying out financial transactions and searching for new financing options. Venezuela has allocated five billion barrels of oil to back its cryptocurrency. The authorities reportedly plan to set the initial price of their national cryptocurrency at $60 per one Petro. The first release of 100 million units of the new Venezuela's digital currency is expected to take place on February 20 — March 19 and some 38.4 million Petros are expected to be sold during the preliminary phase of the trading session, according to media reports.